9 beautiful items for just 99.99 after Dec 18 ! Feeds up to 4 people ! 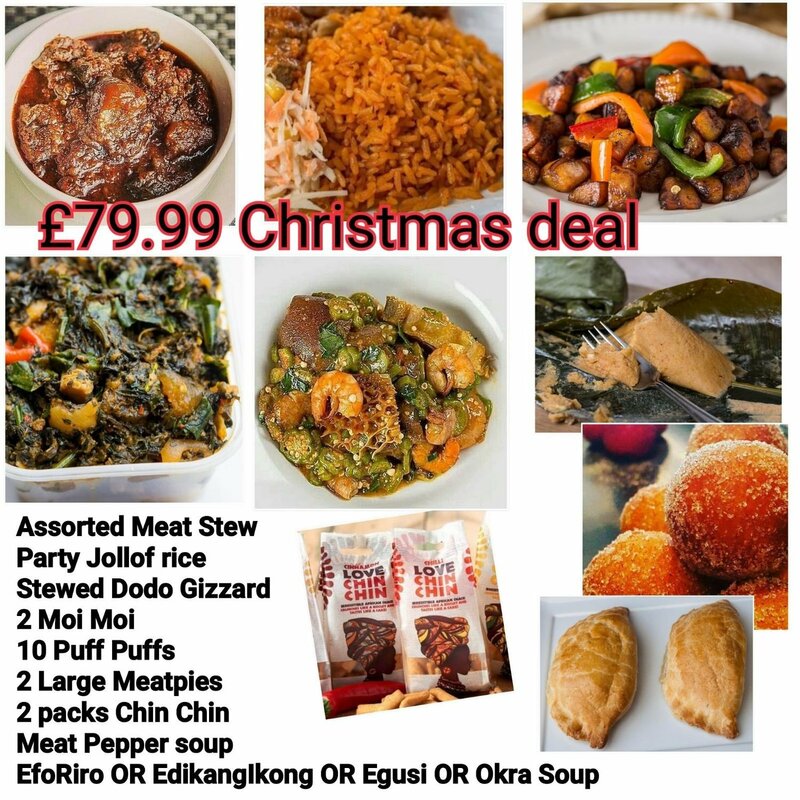 Efo Riro OR EdikangIkong OR Egusi OR Okra Soup - Our Soups have been declared the best tasting in England. These will be served generously for Xmas and you can state what soup you prefer in Order Comments after Check Out ! We love to make you smile and It's the season of joyous celebration o ! Lol!